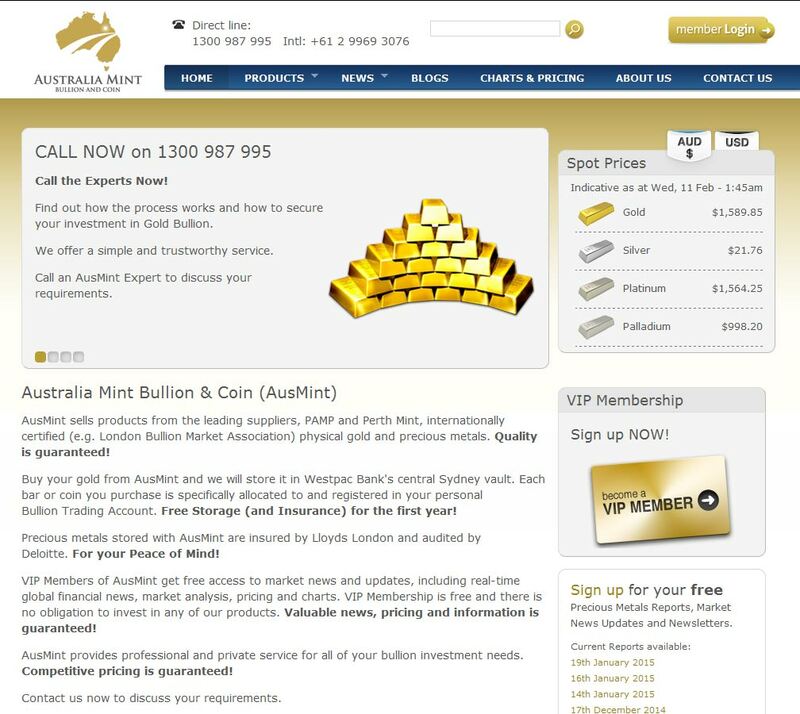 Australia Mint Bullion & Coin (AusMint) is Australia’s leading precious metals supplier for investors who seek a professional, credible and reliable service. Our expert Traders provide a professional and personal service whether you are a first-time investor or whether you are a sophisticated investor with significant holdings in physical Gold or other precious metals. AusMint provide physical bullion investment services allowing investors to buy bullion for direct delivery, set up a bullion account or buy and store allocated bullion at a partner bank. No prices are available on the site, with all quotations based on individual investor requirements. 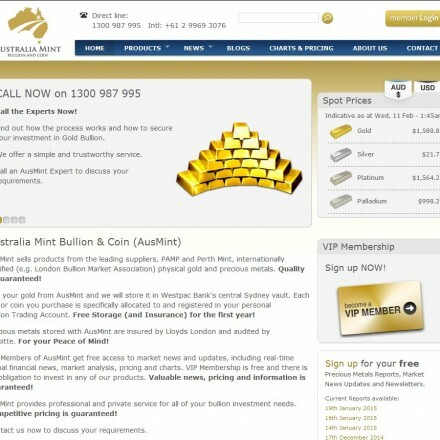 When doing business with AusMint - please say you saw them in Bullion.Directory. Read or add AusMint reviews and ratings using the "reviews" tab above. All AusMint details are believed to be correct at the time of listing. Please report errors here.